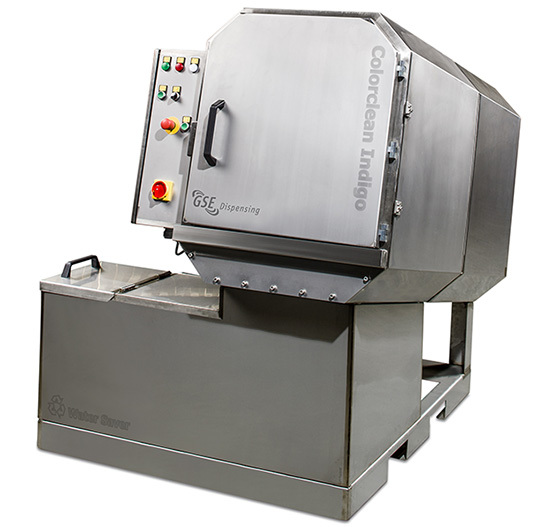 The Colorclean Indigo washer is an easy and efficient way of cleaning buckets used to store water-based inks. Water is forced through a series of rotating brushes that clean the inside and outside of the containers. 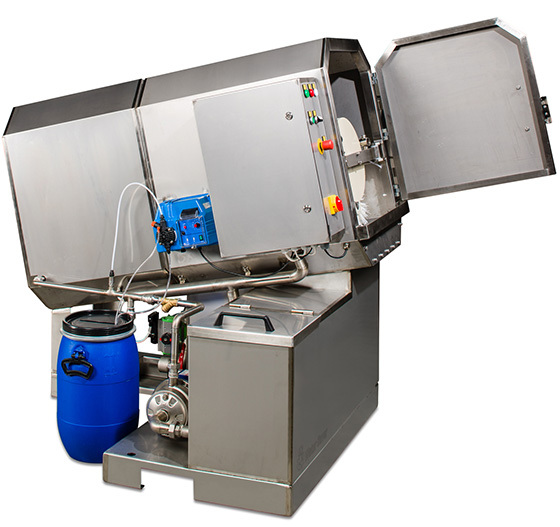 The robust washer is virtually maintenance free and comes in a stainless steel housing. The Indigo is equipped with three rotating brushes. 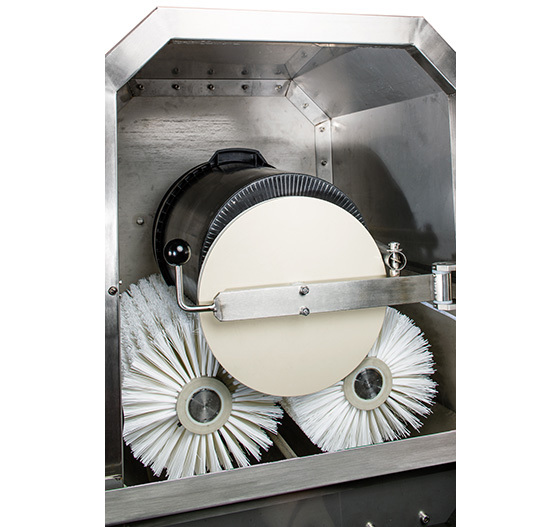 The brushes run at different speeds, causing the bucket to rotate and clean more effectively. There is also one non-rotating brush for cleaning the bottom of the bucket. 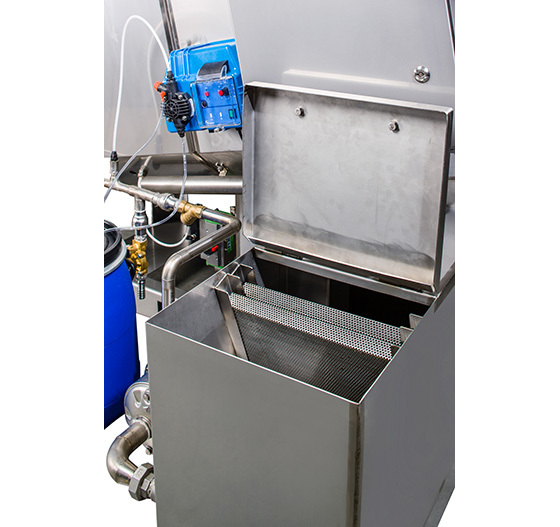 A switchbox with adjustable timers allows accurate setting of cleaning cycles. A detergent application unit further enhances the effectiveness of the cleaning cycle. The Indigo is equipped with an inner brush of 230mm (9”) diameter. This means it accommodates buckets with diameters between 250mm (9.8”) and 375mm (14.8”), and a maximum height of 470mm (18.5”). The optional water saving system reduces water consumption for cleaning buckets by between 50 to 80%. The system consists of a storage tank with filters and a circulation pump. Water is pumped out of the integrated storage tank to rinse the bucket. Used and heavily polluted water is drained away. Water from the storage tank is used to wash the bucket. The used water is partially returned to the storage tank and partially drained (adjustable).